In 2008 Eric Myers filed for bankruptcy in North Carolina before moving to Florida to seek a fresh start. Myers then applied for a managerial position at Toojay's Gourmet Deli where he signed a background check release which permitted the Deli to conduct a "comprehensive review" of his background, including a review of his "credit history and reports." Later, Toojay's notified Myers that it was rescinding its offer and he would not be hired because of the previous bankruptcy filing that appeared in his credit report. Rather upset on hearing this news, Myers then sued Toojay's, claiming that its refusal to hire him because of his bankruptcy filing constituted a violation of the Federal Bankruptcy Code. On May 17, 2011, the Eleventh Circuit Court of Appeals, in Myers v. Toojay's Management Corporation, disagreed and held that if Congress had intended that private employers were to be prohibited from basing a hiring decision on this factor, as public employers were prohibited, it would have drafted the Bankruptcy Code to achieve that goal. 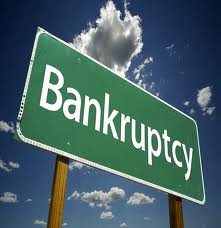 With this ruling, private employers in the following states may consider bankruptcy filings when making hiring decisions: Alabama, Delaware, Florida, Georgia, Louisiana, Mississippi, New Jersey, Pennsylvania and Texas. Common Sense Counsel: If an Alabama employer considers a bankruptcy filing to be an important predictor for an applicant's suitability for a position, then consider the following: 1) do not attempt to distinguish the different types of bankruptcy filings, or reasons, when making hiring decisions as it may lead to inconsistent results; 2) adopt a rule that prior bankruptcy filings automatically disqualify an applicant; 3) following all requirements of the Fair Credit Reporting Act (FCRA) by having a compliant, written release and supplying the applicant with a copy of the notice mandated by the FCRA; 4) include criteria in your job description covering the issue of handling of money or confidential information; and 5) be careful if it is a minority applicant so you do not run afoul of EEOC regulations.